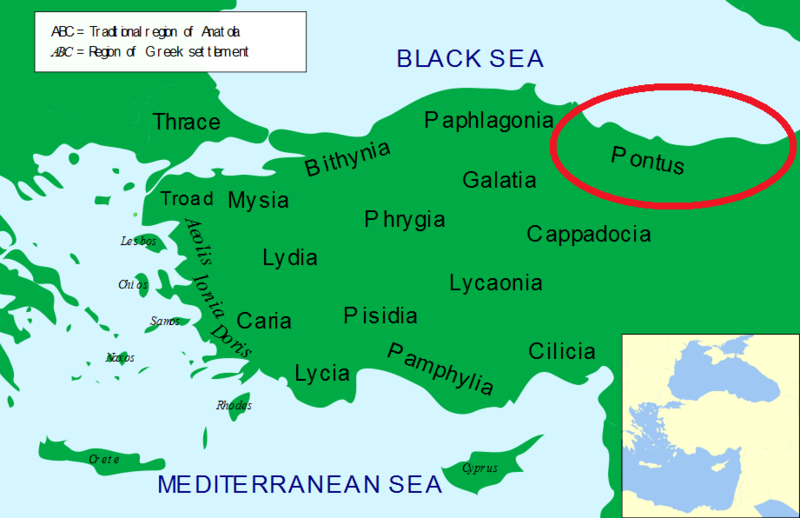 Pontus is a historical Greek designation for a region on the southern coast of the Black Sea, located in modern-day Turkey. The extent of the region varied through the ages, but generally extended from the borders of Colchis (modern Georgia) until well into Paphlagonia in the west. The Kingdom of Pontus was founded in 281 BC by the Mithridatic dynasty from Persia, and lasted until its conquest by the Roman Republic in 64 BC. Pontus is sometimes considered as the home of the Amazons, with the name Amazon used not only for a city (Amasya) but for all of Pontus in Greek mythology.